Pet mice and hamsters aren’t the only creatures who like to go for a spin on the hamster wheel. Animals in the wild — mice, frogs and even snails and slugs — seem to enjoy a bit of exercise on it too. Johanna H. Meijer and Yuri Robbers of Lieben University Medical Center in the Netherlands wanted to find out whether wheel-running is an activity that's taken up only by animals in captivity such as lab mice. 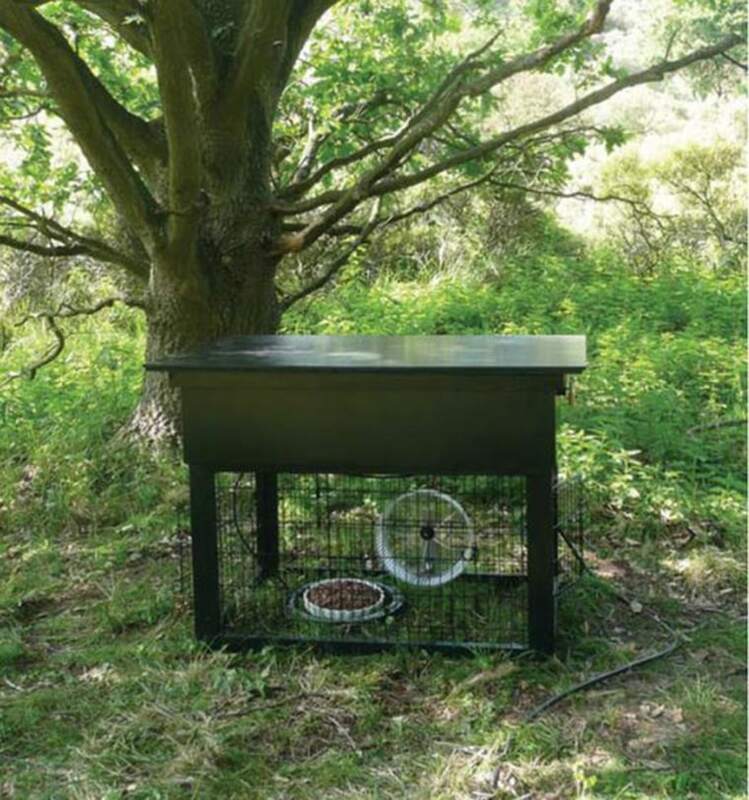 They placed a cage-like contraption containing a running wheel in two spots in nature where feral mice live — in a green urban area and in a dune area not accessible to the public. A camera recorded every visit by an animal. The video recordings showed hundreds of instances of creatures visiting and using the running wheel over the course of a few years in the two locations. Most of the time it was wild mice who came for some exercise, but the researchers noted that shrews, rats, snails, slugs and frogs also "ran" on the wheel. "Of these, only the snails caused haphazard rather than directional movement of the wheel and were therefore excluded from the analysis,” the researchers said. The researchers noted that the wild animals used the running wheel even when there was no food in the cage to entice them. "Some animals seem to use the wheel unintentionally, but mice and some shrews, rats and frogs were seen to leave the wheel and then enter it again within minutes in order to continue wheel running. This observation indicates that wheel running may well be intentional rather than unintentional for these animals," the study said. The researchers suggested that the findings could help lead to a better understanding of humans' motivations (or lack thereof) for exercise. The study, "Wheel running in the wild," was published this month in the journal Proceedings of the Royal Society B.